Hi ladies, it’s Anna from Fash Boulevard again. When it comes to effortless ways to jazz up a boring ensemble, jewelry always tops the list. From friendship wrap bracelets to jewel encrusted cuffs, there is never an excuse to leave the house with a naked wrist. 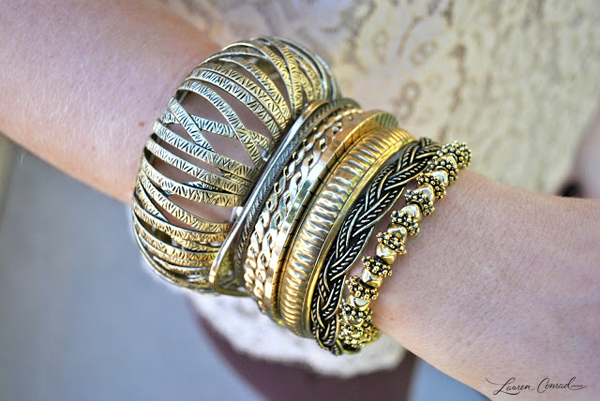 Break up a store-bought bangle set with two or three unique pieces to add your own personality into the mix. 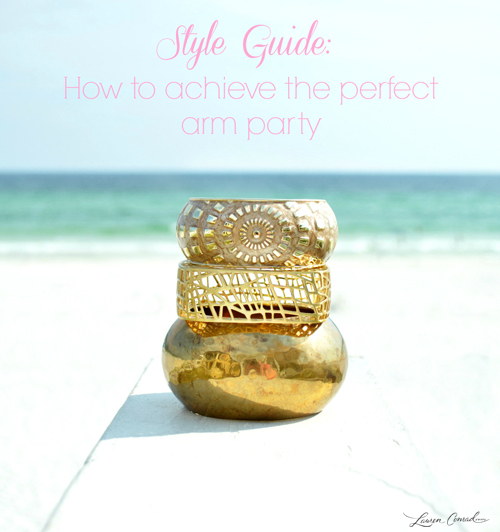 Be sure to infuse pieces that match the general size of your arm party, especially when creating larger get-togethers. 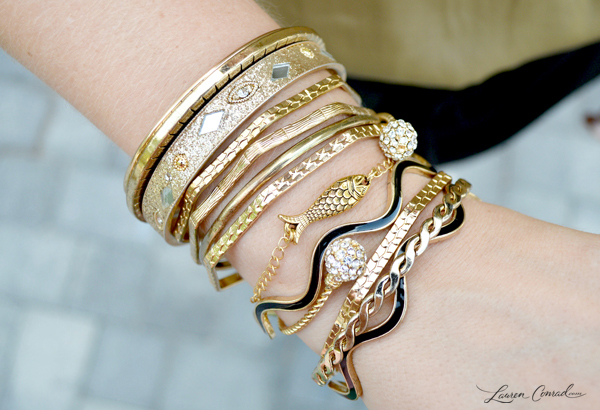 Do you have any style secrets to creating the perfect stack? P.S. 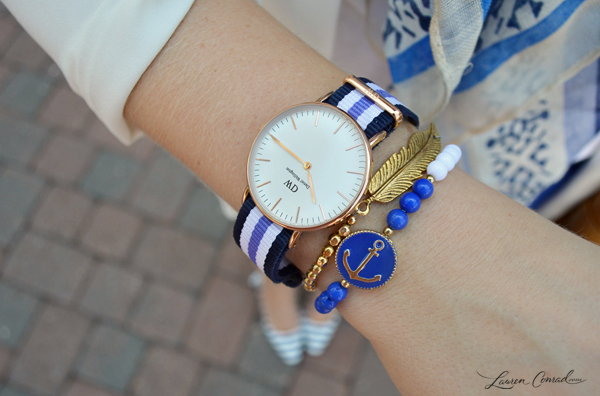 For more bracelet stacking inspiration be sure to check out my outfit posts here and here!